Primary Assistant Teacher Circular 2018. 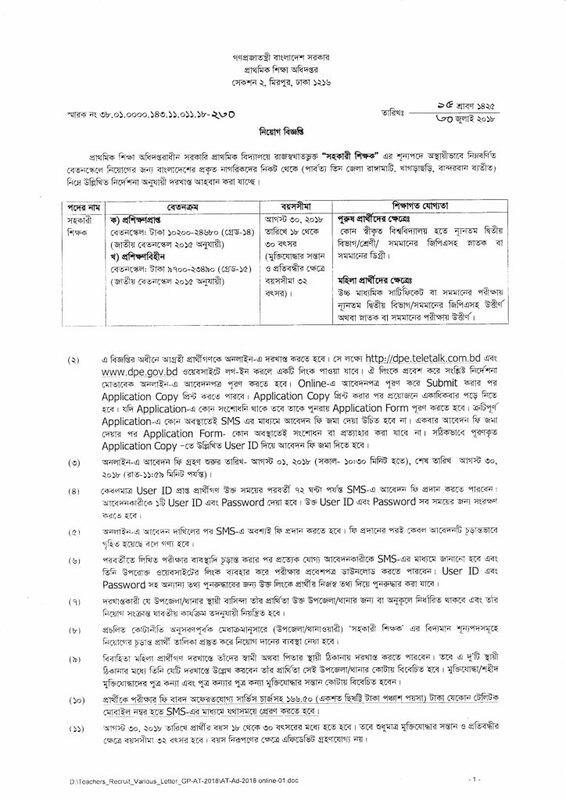 Government Primary school job circular 2018 published on Primary Education Ministry website www.dpe.gov.bd or dpe.teletalk.com.bd vacant post of “Primary Assistant Teacher” . Now we will discuss about primary school assistant teacher job circular 2018. 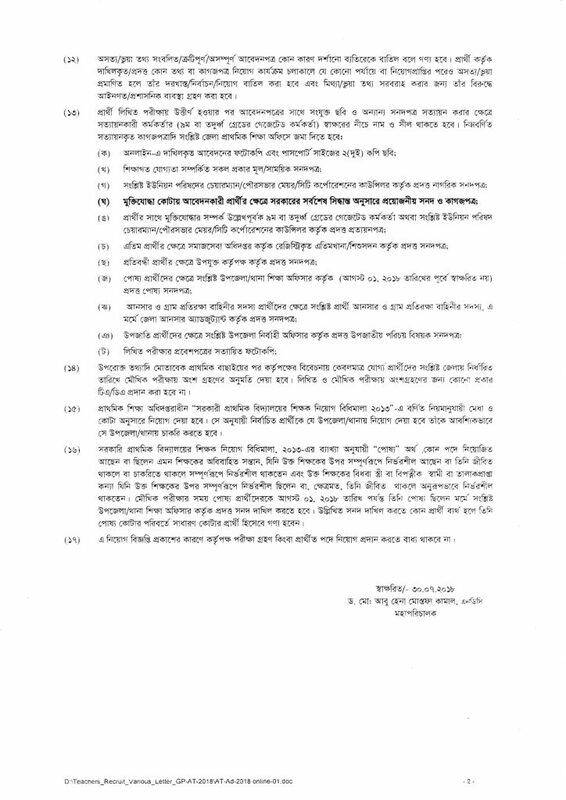 In the absence of the “Assistant Teacher” of Primary School in the Primary Education Department, the applicants are invited to apply for the following salaries, from the actual citizens of Bangladesh (without the Rangamati, Khagrachari, Bandarban, Chittagong Hill Tracts), according to the instructions given below. Interested candidates will have to apply online. A link will be available for that purpose at http://dpe.teletalk.com.bd and login to the www.dpe.gov.bd website. Applying the link will need to fill the application form online through the relevant instructions. After filling the application online and after submitting, you can print the Application Copy. After the application is printed, the reader must read it several times. If there is no doubt in the application, then he has to complete the application form again. Application fees should not be submitted through SMS in any way in the faulty application. Once the application fee has been submitted, application form – can not be withdrawn or withdrawn in any way. Primary Assistant Teacher Admit Card 2018 will be published before one month of Assistant Teacher job exam 2018. You can download your Assistant Teacher Admit Card from our website. You can also download Primary Teacher exam result 2018. Join Our Facebook Page or Group to get all Job update and download admission relented books PDF.